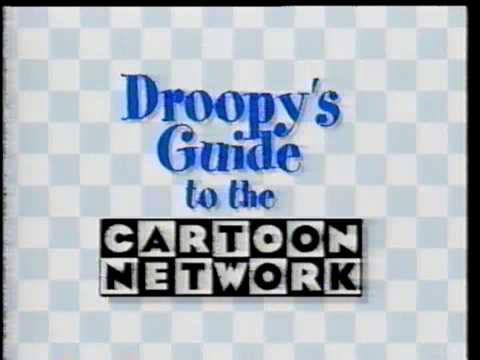 Droopy's Guide to the Cartoon Network is a 1992 special event which inaugurated the launch of the then-new Cartoon Network, making its debut in the United States on October 1, 1992. It was also simulcast on the other two main Turner networks at the time, TBS and TNT. As the title suggests, the special was hosted by the MGM cartoon character, Droopy, who provides everything about the shows that air and what to expect on "the world's first 24-hour Cartoon Network". During the special, the Bugs Bunny cartoon Rhapsody Rabbit was shown, which marked it the first cartoon to ever air on the network. Following that were King Size Canary, The Great Piggy Bank Robbery, and Wild and Wolfy. A post on the network's official Facebook page had mistakenly cited The Great Piggy Bank Robbery as being the first of the four cartoons that aired during the special. Footage of the network's launch had remained lost for a long period of time until July 24, 2018, when YouTube user Gustavo Aguilera uploaded the first three minutes of the launch, which cuts right off at the title card for Rhapsody Rabbit. 3 minutes of the launch preview.